Have you ever missed a deadline? Well sure! We all have, right? In the professional world being late promotes having a poor reputation. “She’s always late” isn’t a compliment and surely we want to avoid this stereotype. 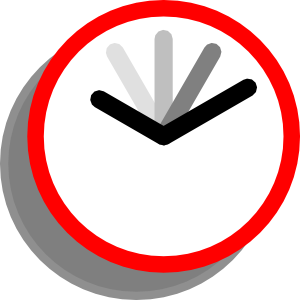 Being late disrupts the meeting or event we are trying to attend, it also causes stress for committee members or presenters. We want to be counted on to get the job done and done well. If we are late with materials, equipment, or just not being present, it sets the tone for the whole organization. But take heart, time management can be a learned skill. We can all improve and become more accountable. Keep a calendar. In our technological age this one would seem like a given, but we still have individuals who just fly by the seat of their pants. However, the calendar world is now available to many eyes and that may be key to being on time. Allow your supervisor or team members to view your calendar. Know your time wasters. This list might be different for all of us but it certainly is valuable in knowing what we do with our time and will allow us to be more accountable. Procrastination is probably the biggest time waster that we all have. Set up timelines and deadlines to make sure that procrastination won’t trip up success. Time is a resource that we have committed to our 4-H programs and Extension careers. We have all been hired to do specific and critical jobs for the university and we need to use our time well. In 4-H jobs we find our family and work time to be a gray area sometimes. It’s important to get a handle on time for work and time for family to have good balance. The AgCenter has a system in place for us to keep track of our time. Yes, I’m referring to Dynamics! This tool encourages goal setting and time commitments to clients. When we break down our actual time spent on each of our goals we are able to see clearly if we are successful or not. The Dynamics system actually has some wonderful features that can help us save our energy and time. The bottom line is to realize that time is a resource that needs to be protected. Time can be used now or lost forever. It’s important to find a time management system that works for us as individuals. This will allow us to be better employees, meet deadlines, and find a good work/home balance. Want to dig deeper? Read this great publication from Georgia Cooperative Extension.